Keeping track of your activities and points called SB can be fun, but it can also show you things like collector bills and lifetime SBs. When you open “Activity“, it will default to your Ledger and activities from the current day. Under the Swagbucks ledger you can see the digital points called SB that you’ve earned or spent, how you earned those SB, and your total SB (lifetime and current amount). Sometimes it can take a few seconds to load the ledger if you have a lot of recent activity. On the top right side of the ledger you will see your lifetime total of SB and the total SB balance for the selected time period. The “total” amount changes depending on dates and activity type you select. You’ll also see the option for “Ledger” and “Collector’s Bills”. While the Ledger shows activities, the Collector’s Bills button shows Collector’s Bills you’ve earned (see below). Once the ledger loads you’ll be able to select a category at the top left. 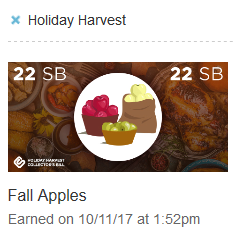 This will let you see how and when you’ve earned SB on Swagbucks. By default all categories are shown. When you change the categories, the SB “total” will change to reflect the amount of points from that category. At the top you can also select a a date range if you want, which will show you how many points you have earned or spent during the time you selected. This can be helpful if you want to find out how many points you’ve earned and spent in a month. To select a range, select the calendar icon and then select the to and from dates you want. The ledger will update, and the SB total will update to reflect the changes in dates. Every so often Swagbucks releases collector’s bills with a challenge to collect the entire set.Each of the bills can be earned exclusively while searching online and generally have a certain theme. While searching you’ll be able to recognize when you win a collector’s bill, since it will look different than your normal SB award image. Once you earn a collector bill, you’ll be able to see it in your account under the Collector’s Bills and see how many you have left to collect. If you click on one of the the plus sign, a row will drop down, and you’ll be able to see the collector bills that you’ve earned (including the date and time you received it). If there is a bonus for earning them all, you’ll be able to see this on right hand side next to the dates that the Collector’s Bills were available. At the very bottom of the page you can select past years if you want to see what past collector bills that you earned looked like.